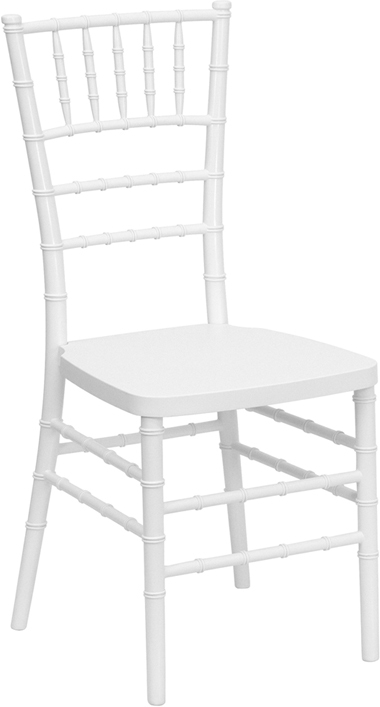 White plastic resin chiavari chairs that stack up to 7 chairs high. Resin chiavari ballroom chairs are a great alternative option to traditional painted chairs. The colors goes all the way through to the core.